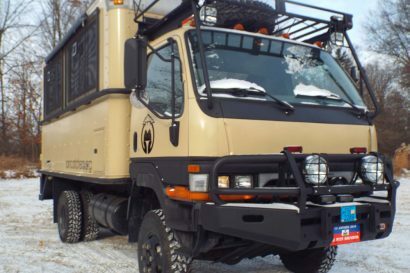 EarthRoamers aren’t the most agile or affordable of overland vehicles, but they do have an undeniable cool factor. 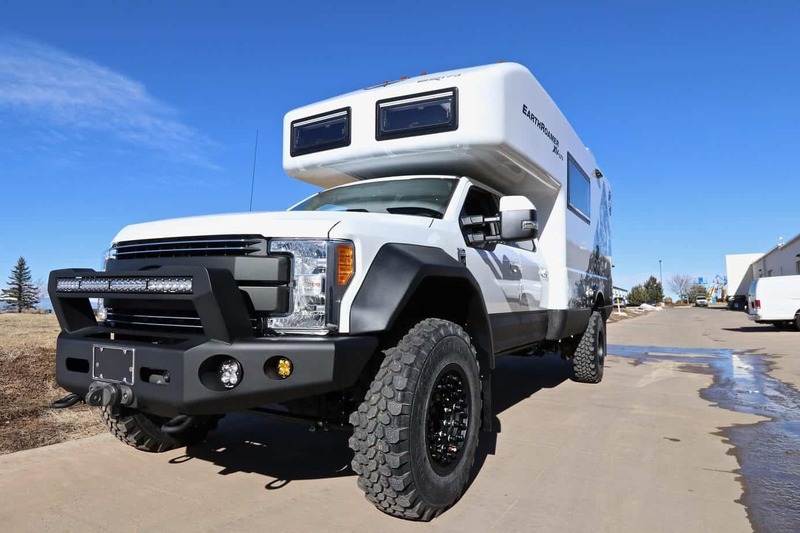 Something about combining granite counter tops and wine coolers with 41″ tires and bead-lock wheels seems to appeal to people, and in truth it’s not hard to see why. 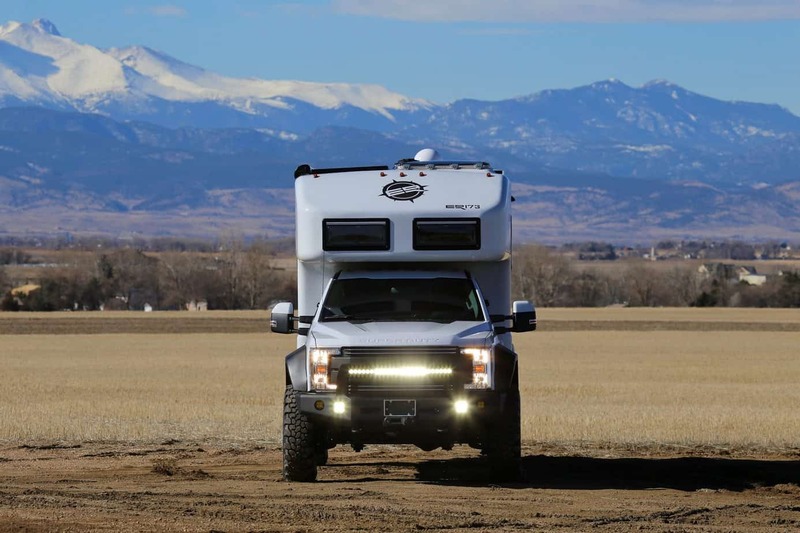 These vehicles are luxury apartments on wheels, and now the Colorado company has unveiled their latest and possibly greatest model yet, the XV-LTS. Based on Ford’s 2017 F-550, the new XV sports a modern sculpted look with more angular lines on the doors and front end. 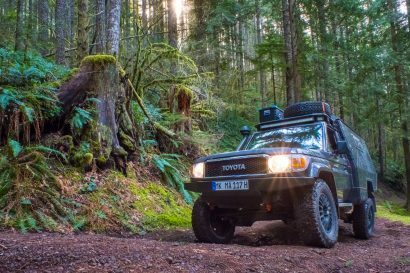 Earthroamer matched these updates well with a fresh bumper design, new fenders, and a more powerful lighting package, including a 40″ curved LED bar to replace their signature rounds. Inside the cab a new gauge cluster and control panel were installed. 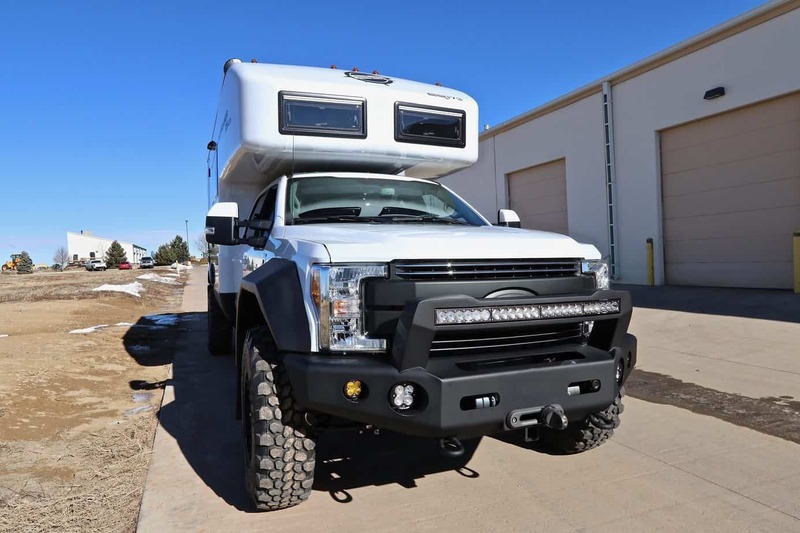 These provide the owner with a constant view of the truck’s status, while blending seamlessly with the redesigned console of the Super-Duty platform. 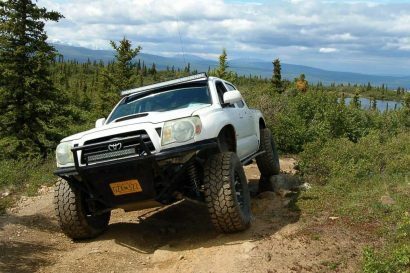 Of course the XV-LTS changed more than just looks. 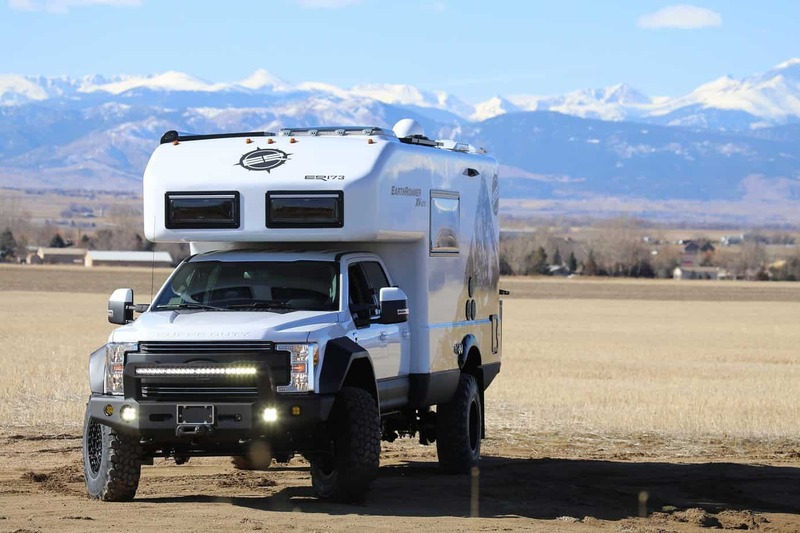 The body is now constructed of high-strength military grade aluminum, and attached to a reinforced steel frame; a combination which has lowered the overall weight while increasing rigidity. The drive-line has been upgraded to handle the 330 horsepower and 750 foot pounds of torque produced by the motor, and larger more powerful brakes were installed to stop the trucks increased GCWR. Although further details and interior photos have not been revealed, we have no doubt that the 2017 XV-LTS is just as plush as its predecessors. We look forward to seeing one of these beautiful vehicles on the road, and as always will continue to dream of one in our driveway. 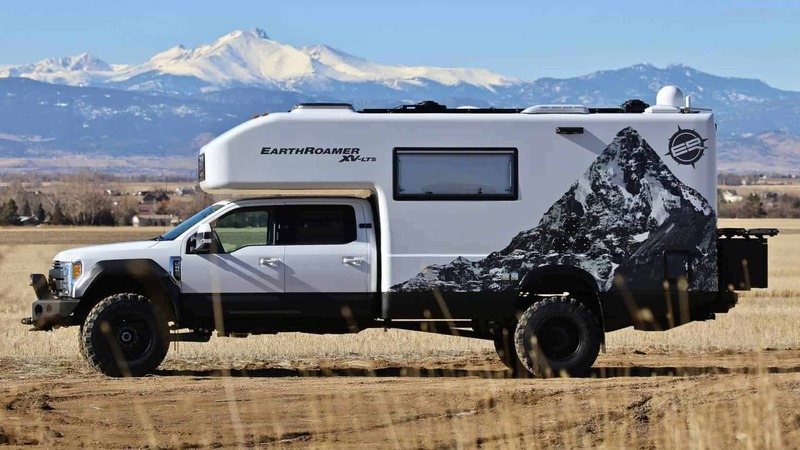 For more information on the 2017 XV-LTS head to www.earthroamer.com/xv-lt/pricing or contact Annie Stein.